← My Zombie Safe House – Where would you go at the end of the world? 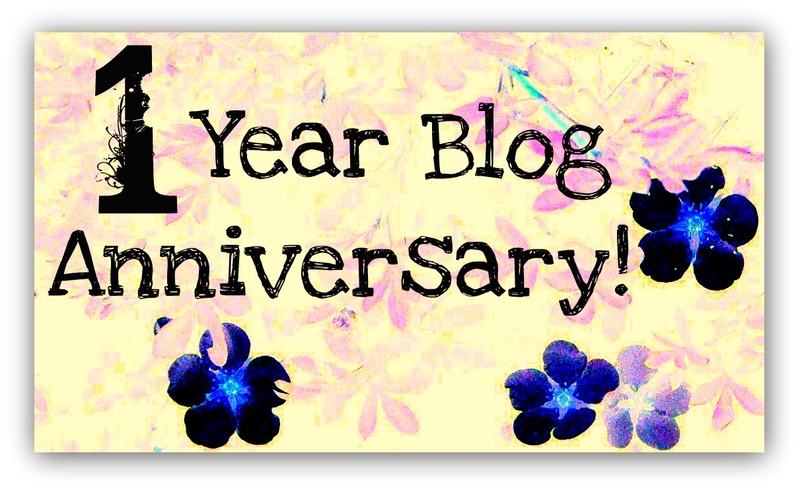 Today is a slightly less than momentous day in the world of blogging as it is my first year anniversary of starting my blog…. or rather yesterday was. However I had a big job interview yesterday so instead today is my blogs birthday. When I started off blogging, it was always something I had wanted to do but I didn’t think I would be much good at it and even if I were, I didn’t think anyone would like to read it. I’m still not sure that I am good at it but there certainly thousands of people every month who like to read it so thank-you for all you dedicated readers and also those who come and go through the care-free meanderings of clicking on Internet and WordPress links. I have read in several places that the most successful blogs are those that concentrate one area but though I do favour some above others, I always wanted and try to write about anything that comes to mind. I think it makes things interesting for readers and keeps me on my toes when I write and may even help me improve. Over the year I’ve had 1,318 comments, 1,375 subscribers, 28,380 views and this is as if my magic, the 100th post. I don’t know about anyone else but I have periods where I have so much to write about, I don’t know where to begin. I like to have a number of articles pre-written in advance just in case I have a dry period. At other times I have hardly any time or ideas and I wonder what on earth I can write. I always find it bizarre that sometimes I can write what I think are excellent pieces which take lots of time and it gets a relatively low response and yet others I write off the top of my head and they are unbelievably successful. Sometimes I write something I think will be great and it gets a good response and in those times I like think I my readers and I are all on the same level which is nice. I really enjoy writing, researching and finding photos but especially comments and interactions with readers. I’m pleased to say I have made lots of great friends from blogging and also some great writers whose work I look forward to reading too. There have been lots of ups and downs in the last year. Most of the ups were blog related though having the Olympics on my doorstep was amazing. I’ll always remember that month and especially the night when Team GB won all those golds on a saturday evening. When I was little,we are generally rubbish at sport and normally at sports we invented. We lost at Cricket all the time, I never saw us win until I was 16 and I missed the victory as I had to work that afternoon. Our football teams were always rubbish and when they were good, they were cheated from glory (we still hate you Diego Maradona and the hand of god) and we definitely were bad at the Olympics. We could run quite well and had some great individual athletes but all the best swimmers were Australian, all the best gymnasts were Russian or East European and most of the best track and field athletes were American or more specifically they were all Carl Lewis. You would have Carl Lewis first, 3 or 4 other African Americans miles behind him but miles ahead of anyone else and then you’d have some white British/Russian or German miles behind. Who’d have thought a white English guy would ever win the Long Jump. Is that even possible? I’ve seen that film, White Guys Can’t Jump! I still can’t believe it. When I grew up GB was always a big dump. It wasn’t really until the 1990’s that the country had got over the damage and chaos of “the war”. Everything was old, everything was broken or cheap and no-one seemed to know what to do with such a decline. I was born in 1973 and remember areas of run down cities still bombed out in places, others were totally run-down. The 1980’s saw the country re-booted and then sometime in the 1990’s there were rumours that it was trendy and the place to be again but not everyone believed it. To people who live in up and coming countries or “new” countries this might sound strange as many places are used to things only getting better and that wasn’t often the case here. At least it didn’t seem that way to people who lived here though from what I gather everyone else I met always couldn’t wait to visit or talk about the place. We’re not a very patriotic bunch, we are very quick to openly either belittle, hate or laugh our country, politicians, our weather, our selves. I guess that is where a lot of that gloom came from, that and the fact there was a lot to be gloomy about. The Olympics was the first time I remember everyone being happy and positive and realising they lived in a special and forward thinking country. Now a small country but one that could still be the best in many ways including the huge spread of colours of the athletes who competed for the country. Also from out of nowhere, it seemed everything was new, buildings, trains, cities, everything! A year on, I think most people are still happier although it took a lot of getting used to it. Traditionally, we’d be a bit suspicious of anyone being happy; they usually knew something you didn’t. I can’t claim any credit for the Olympics except for waiting for years for it to happen and savouring every moment of it. I watched it day and night but what I can take a bit of credit from is that I also got my second book published. Like those blog posts which I write on a whim and turn out to be much better and more popular than I ever would have imagined, my travelogue was something I wrote in between other things. Who knew it would actually turn out funny and good. Not me! Blogging directly got me into freelanced writing. Nowhere near as much as I’d like but in 2013 so far, I have written nearly 100 commissioned articles on two separate contracts. They are both now over with so I hope to find more of that, it would be neat to write for a living. If a week is a long time in Politics, it’s an eternity in blogging. There have been lots of bad things too in the last year. I have been ripped off and cheated from writing by unscrupulous individuals. I suppose it’s nice to know that some people think my writing is worth defrauding me! Its hard to win a writing commission for proper money when the world at large doesn’t value writing. They are the same people who copy movies and music and want to take everything without giving anything back to anyone. If an artist does anything that no-one else can or even no-one else does, then they deserve payment as much as everyone else. The amount of people who have approached me asking me to write for hours every day for just 1 dollar for 100 or 500 words is unbelievable and so long as other people say yes to these rates then things won’t ever improve for writers and organisations will be left with insipid and bland writing on the web at least. I guess that is what makes blogging interesting as people write with their heart on what ever takes their fancy. I also lost my job in early March which though is terribly bad in terms of not having money; was hugely good in that with the exception of one or two friends there, I hated everything about working for such a bullying and soul-destroying organisation and that awful commute and those offices without windows that had white walls, ceilings and tables left you feeling you were either in a laboratory or a mad-house, which I guess is quite apt. Phew, I am so glad to be out of there. So that is probably 2 out of the 3 worst things that can happen to anyone in one go. I was ready for the house to be swept away by floods or my lovely wife run off with someone with better luck but it never happened so I guess that may well go down as the worst month in my whole life. If I can say that when I am 90 or better still 110, maybe I should say 263 as I would hate to die 150 years prematurely just because God read my blog today! I have spent the last 3 months doing lots of blogging, publishing and doing stuff on my own. Enjoying the peace and quiet of not going to my old work place and missing the happiness and comfort of having a mother. A month or so ago I started planning my own business, just in case I don’t find a new job soon. It would be so great if it comes off, I have a great business advisor. I’m still applying for lots of jobs. Whatever anyone says, there aren’t many good well-paid jobs around at the moment. Last time I lost my job I would have to work in 2 jobs at once. Day time in an office and then in Pizza Hut until midnight. Some days I would be at the Post Office at 5am too. I worked in a sewage farm, a mail depot, I dressed mannequins in the shopping centre. I took 13 temp jobs in that month or two. This time, I don’t have to take just anything, partly as I don’t need to but also because once you work pushing trolley in a shopping centre, the chance of getting an office job is practically zero. So I make do with the £65 a week unemployment benefit I get for 6 months, my reward for working hard for 25 years and paying probably over £100K in taxes. According to the government, I am pretty much scum and too lazy to find a job. Well, that told me. Yesterday I had a great job interview at a very large and prestigious company in London. They have a queue of people trying to work there so even to get through to a first stage interview is a compliment. So, I wonder what the next year will hold. I have pretty much run out of bad things to happen although life always does surprise you. Hopefully next July my blog will be bigger and better than ever. Maybe I will even have met some reader and writer friends for real, that would be nice. Will I have a dream job, be a writer or have my own travel company? Maybe all three or maybe none the above. Maybe, I might be happy! Happy would be cool, or at least a bit happy even. 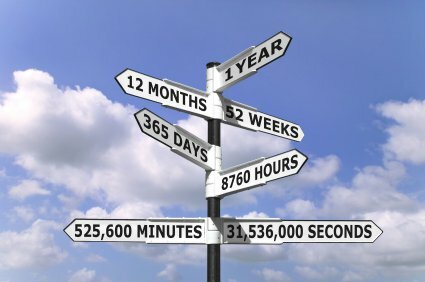 My lovely wife has started thinking about going on a long trip next year or the year after. All that talk of backpacking and travelogues have got us excited. Plus I would hate to reach old age… or not reach old age and not seen some of the things I have always wanted especially as I have always had lots of imagination and an urge to travel. Well this is definitely one of those blogs written off the top of my head. Will it be popular or not? I don’t mind too much, it’s nice just to have so many readers and friends in the blogosphere. I hope you’ve all been entertained, laughed out loud once or twice, maybe even learnt something! Now go and have a nice day and do something happy and a bit crazy for me. Anyone got any chocolate mint ice-cream? This entry was posted in London, writing and tagged 2012 olympics, Blog anniversary, Blogging, Life, london 2012 olympic logo, nostalgia, writing. Bookmark the permalink. Congratulations on your first year blog anniversary, good luck with the jobs, and enjoy your chocolate mint ice cream (yum!)! I hope this year brings you good luck and happiness! Thank-you! If the coming year turns out as good as the ice-cream then there won’t be much to worry about. Very wise words, particularly with regard to happiness. Though, in principle, many like to be happy, if somebody is happy we- or I- see them as worthy of some kind of suspicion! But maybe it *is* just because they have chocolate mint ice cream. Yes I do too sometimes… what have they got to be happy about! That ice cream is going down well in this heatwave. Who’d have thought we would have summer and a British Wimbledon winner on the same day. Its like waiting for a bus, you wait for ages and then they all come at once. Happy blogday, Stephen. So glad to have met you. Go get some chocolate mint ice cream! Thanks Rosemarie. I am glad too, I see you are having a lovely summer! Thanks James. Year two starts today! Congrats! I hit my second blogging birthday a few months ago, it’s a great feeling. When you look at it that way, a second blogging birthday seems so far off. Well done to you, hope I will make blog birthday two also! Congratulations on your anniversary, Stephen! I am looking forward to reading more. Thanks Dale. It has been great to have met you and I appreciate your support. 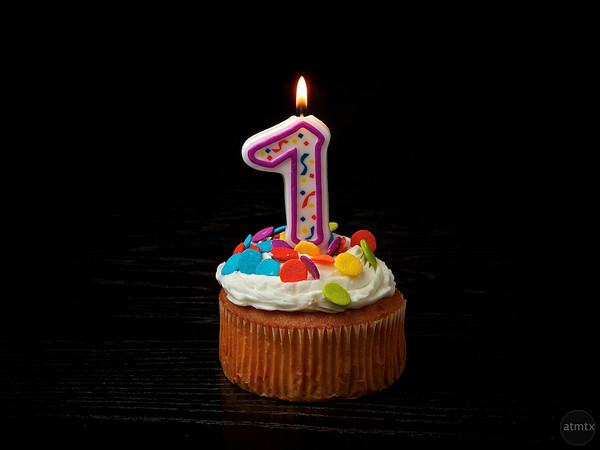 Congratulations in a year if blogging! Thank-you Diana. Thanks for reading what I have to say also. Heartfelt post. 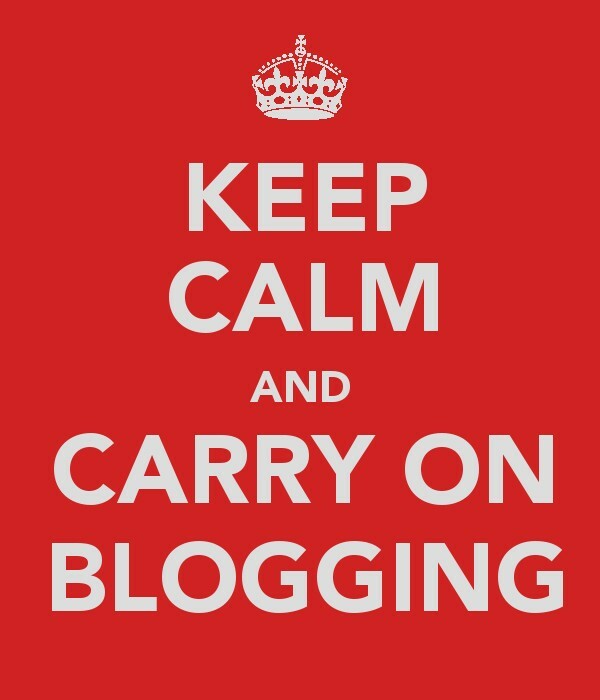 Blogging is interesting, psychologically and philosophically. What you said is true, and on balance WordPress is a real asset, but full of pitfalls like crevasses too at times. Belated Anniversary Congrats! A year is an accomplishment. Best wishes for the next year! Blessings! Sorry it’s in french, but you can use your Google Chrome translator.